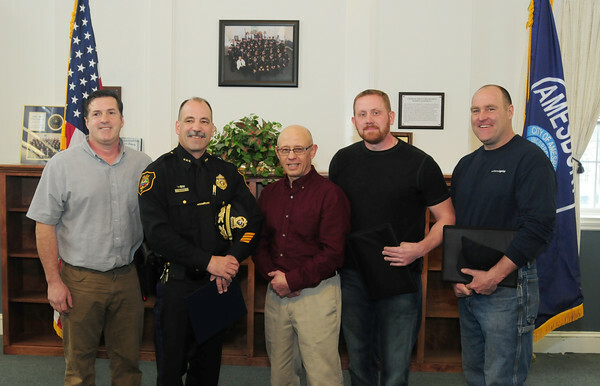 JIM VAIKNORAS/Staff photo Rick Thompson, center, who suffered a heart attack while at the gym, poses with the men who helped save his life at a ceremony honoring them at Amesbury Police Station Thursday. From the left , Shawn Morin, Chief Scott Dumas. Rick Thompson , James Cook and Jay Janelle.